When I shared my memories of Larkin Gardens (Boost Police patrols in Larkin Gardens, please, NST Johor Streets, 23 October 2009), I also highlighted two pressing issues. One was the need for more Police patrols and protection because of rampant robberies in the neighbourhood. The other was the desperate call to revamp common areas like roads, drains and the sewerage system. That family who was suffering the inconvenience of problems with the sewage system in their home since August 2009 contacted the City Council authorities and their workers responded several times. They also inspected each house on the road, including ours because the system is linked in adjacent houses and if sewage problems occurred in one home, it was only a matter of time before it happened in the next houses. As this family continued to experience clogged toilets, they wrote-in and called the relevant authorities but despite follow-ups for years, nothing concrete was done to help them rectify this stinking situation. Because of the inaction on the part of the authorities and the critical need of the essential toilet facility by senior citizens in their home, this family was compelled to spend a huge sum of money to install their own septic tank. Since the sewage system is linked to the adjacent houses, it didn’t take long before the second family started experiencing similar problems and this will eventually have a chain reaction in the whole neighbourhood. Not everyone can afford to install their own septic tanks and when this affected family approached the City Council authorities for help, they were advised to write in but from the first family’s bad experience with the authorities, homeowners here are worried that their follow-up may result in zero action again! 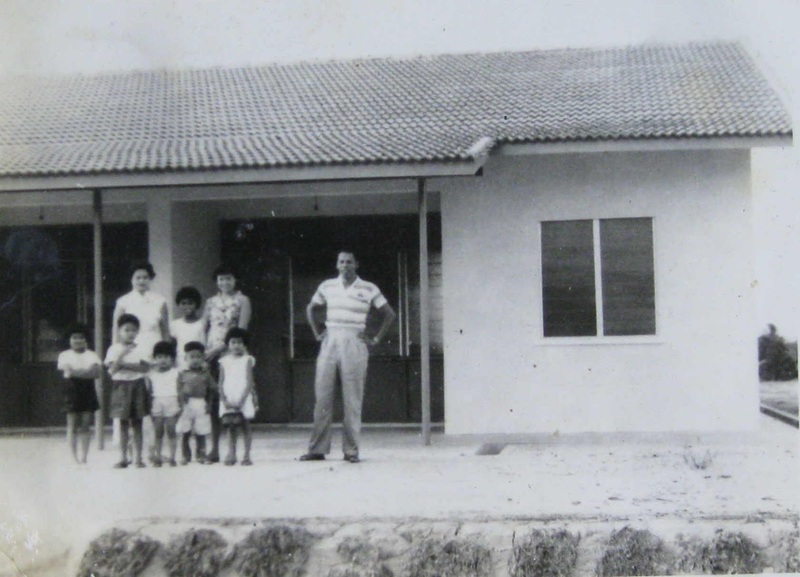 When our family shifted into our new home in Larkin Gardens in 1961, it was known as a “housing trust” with a reputation as a safe and comfortable place to live in. Now homes that once were occupied by retired Government officers and Dato’s and their families have been resold to new owners and many houses are renovated and upgraded. While new private developments are happening around us, common areas like roads, drains and the sewage system in Larkin Gardens have hardly been maintained or improved and have fallen into a sad state of disrepair. This residential area is more than 50 years old and public drains that border the roads are also badly in need of repair. Damaged drains just allow water to flow into the ground and over the years, the gaps around these damaged drains are widening with erosion. I’m no geologist but common sense tells me that in the long term, such poor drainage will only weaken and destroy the structure of the terrain. There must be a labyrinth below the network of damaged drains here because on some hot days, I see large monitor lizards sunning themselves on the grassy verge by the drains. Sometimes when I alight from my car parked near our front gates, I may hear a loud swishing sound and when I turn towards that noise, I get a glimpse of the gray, scaly tail of a monitor lizard rushing off to disappear under a culvert! Not only has the landscape and residents changed in Larkin Gardens, security has also vastly deteriorated. 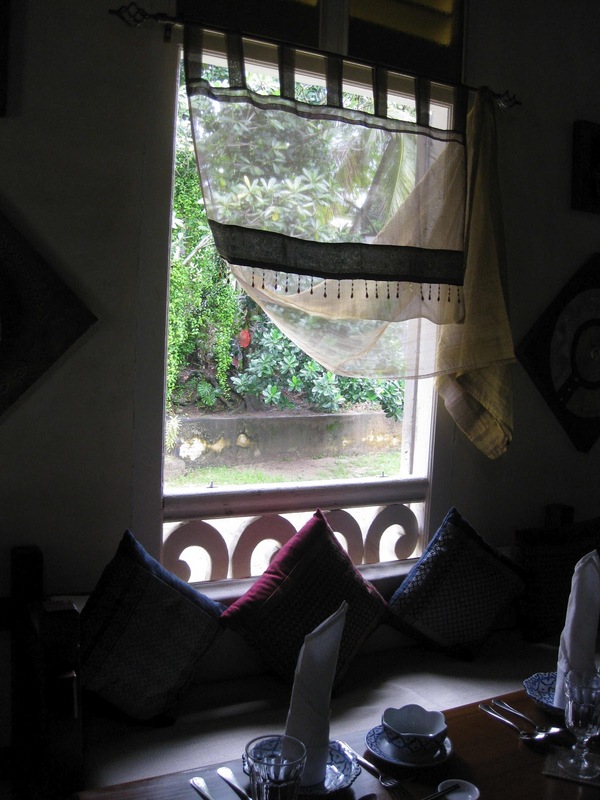 Besides the incidents I listed in my previous article, recently homes were broken-into and ransacked during the day, while the occupants were away at work. Another neighbour who used to keep their large aluminum cooking pots in the backyard had them stolen at night. One morning recently when my dad went out to collect the newspapers that we get delivered daily, he noticed that the drains in our garden were uncovered. At first he thought that mum had removed the metal grille covers to scrub the drains – which she does regularly – but he soon realized something was wrong because the covers were not stacked nearby. Our suspicions were confirmed when we discovered that the intruders not only stole the metal grille covers which we had for almost 50 years but also stole the spare, full gas cylinder from our storeroom! It is exciting to see private apartment and condo developments like Larkin Residences, Larkin Perdana and Larkin Aman being built here and piling work is in progress for the latest project, Larkin Heights. Even though this area is known as Taman Dato Onn, the various residential projects still bear the original nostalgic name, Larkin. 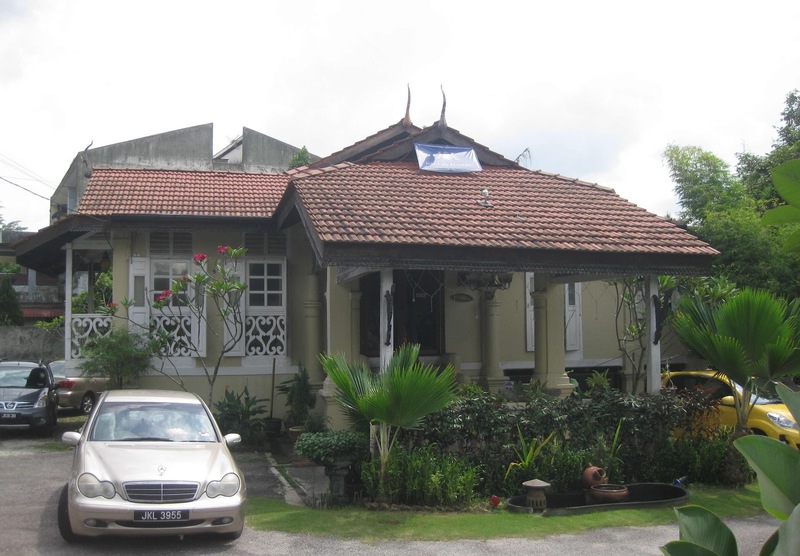 While private companies develop new projects here, I just hope that Larkin Lama built around Jalan Sentosa with Larkin Gardens along Jalan Dato’ Jaffar and Larkin Jaya located after the Tan Sri Dato Haji Hassan Yunos Stadium – all part of one of Johor Baru’s earliest residential area – will not be neglected. With these new developments, Larkin Sentral terminal and wet market, the stadium and schools nearby, Jalan Dato’ Jaffar has been expanded into a dual carriageway to serve a great deal of daily traffic. In all the busyness of growing the city into a modern metropolis, I’m looking forward to the prompt and positive response from the City Council authorities to solve the recurring sewage problem and upgrade the infrastructure here. I also seek the commitment to more Police patrols and their consistent visibility that will certainly make Larkin Gardens a safer and comfortable place to live in again. The neighbour who is currently having problems with their sewage system submitted a letter by hand to the MBJB authorities in the morning of 1 August 2012. Around mid-morning, a team of workers from the Drainage section of MBJB arrived in Larkin Gardens to check on the sewage pipes in their house and the neighbouring houses, including ours! This prompt response is quite impressive! I just hope they will get to the bottom of this problem and provide a solution to the stinking situation. Dr Pratheepa Mohandhas, 61, better known as the Batik Lady of Senai, has a passion for shaping minds to higher levels of achievement at Pusat Tuisyen Minda Abadi. 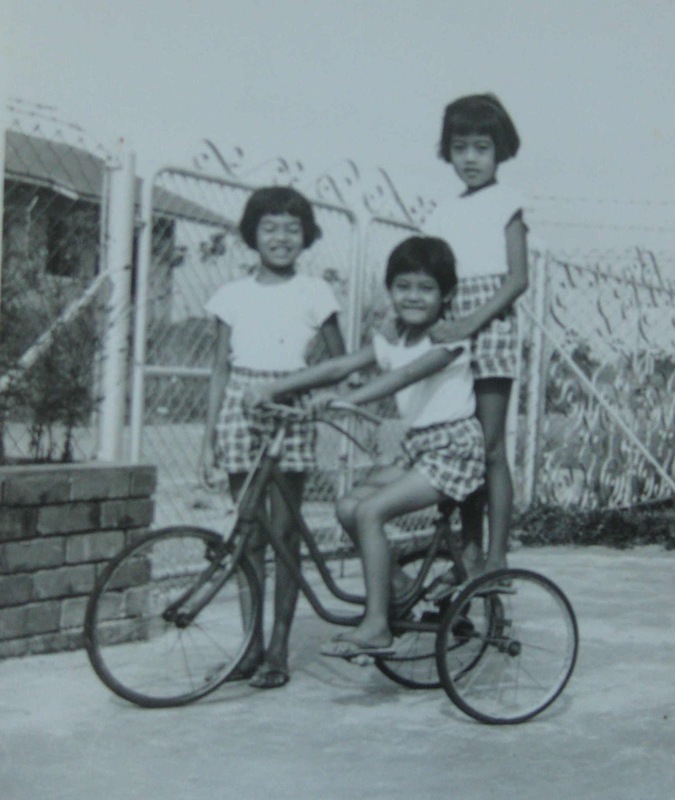 I was born in Batu Pahat and had a very strict up-bringing because my mother was a prominent school principal who was keen on guarding our family reputation. If I was cycling to tuition class and waved at my brother’s friend who happened to pass on the opposite side of the road, my mother would already know about it by the time I reached home. This was how fast news travelled back in those days when everyone in town was familiar with our family. I left Batu Pahat for the first time to pursue Form Six studies first, in English College for one year and the second year, in a college in Petaling Jaya. 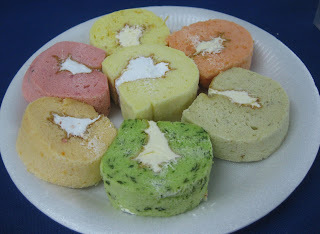 One day, about 10 classmates and I walked to Round Table, the stalls near the Johor Baru old bus terminal for ice-kacang and we were crossing the road when a family friend saw us. The scandalous news of two Chinese boys walking by my side had reached my mother and that evening, she picked me up from the hostel and took me to an aunt’s house where I was interrogated and slapped! In 1973, I accepted a traditional wedding proposal and was married to a medical doctor. In the early years of our marriage, we lived in Kuantan before my husband was transferred to work with the Permai Hospital in Johor Baru. 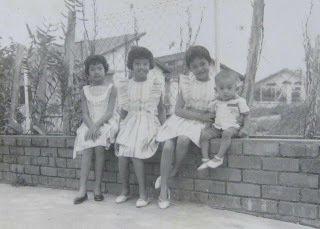 I remember living in the sprawling Government quarters there for 2 years with my husband’s parents and siblings. 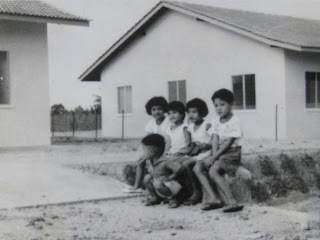 After graduating from Mohd Khalid Teachers Training College, my first posting was to SMK Sultan Ibrahim Kulaijaya as an Art and English teacher and was later promoted to be Head of the Art and English Departments. 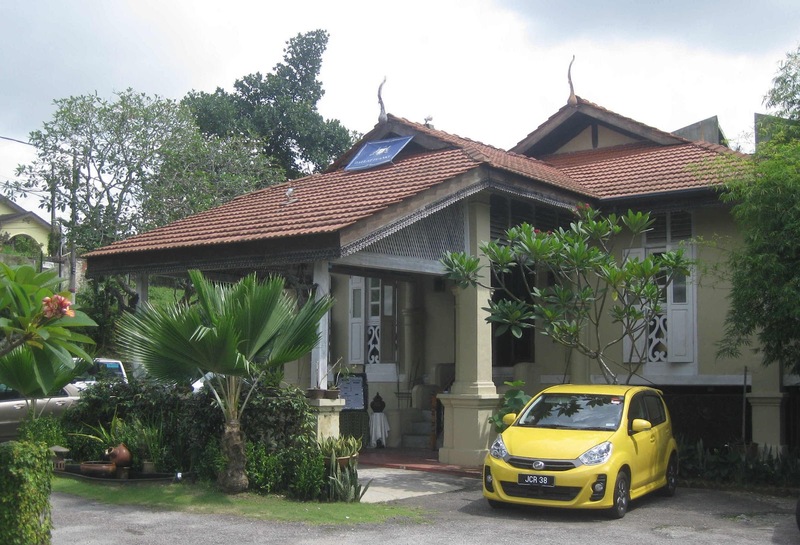 For a year, I was based in Segamat, attached to the Canossian Convent before being transferred back to SRK 1 in Kulaijaya. In my career, I held various posts including Head of the English Language Panel. I believe in improving my skills through furthering my studies and completed a Specialist Teaching English as a Second Language (TESL) Certificate course as well as a course in Reading & Language in Education with the Auckland College of Education. I achieved my Doctorate in Education with the University of Western Australia. For 5 years, I commuted to work from Senai to Sekolah Sinar Bahagia in Felda Taib Andak and was Vice-Principal in charge of Student Affairs until I opted for retirement from Government service. After I obtained a Diploma in Applied Linguistics with the Southeast Asian Ministers of Education Organization (SEAMEO) Regional Language Centre (RELC), a Singapore-based linguistic policy institute serving all the countries in this region, I was a part-time tutor in their Foreign Ministry Programme. I was involved in intensive training seminars with ministry officials from countries like Laos, Vietnam, Cambodia, Thailand and Indonesia. I can vividly recall the exciting experiences with my students after classes, when I was posted to Hanoi twice, to teach Business English with Ministry of Interior staff. My students have a great deal of respect for me and they called me their, “Malaysian Mother.” Sometimes as many as 20 motorbikes would head out for dinner and I usually rode pillion with a young Police officer who is like a son to me. I will always remember the bumpy rides to go to their homes for meals and one evening, when I was told that I was in for a special treat, I politely refused to eat the exotic meat that they enjoyed but pleased them by nibbling on a few snails! Throughout my career, I chose to wear trousers and jacket suits for a more professional appearance but around this time, I accepted a colleague’s suggestion to change my wardrobe to a cooler choice of blouses designed in Thai silk. While silk is beautiful, it was however, not only expensive but also inconvenient to wash and wear. I first tailored blouses in Indonesian batik and now as my entire wardrobe comprise blouses designed in Malaysian batik I inadvertently earned the nickname as the Batik Lady of Senai! 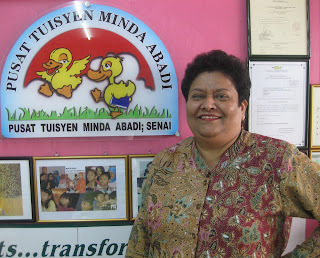 In 2003 I opened Pusat Tuisyen Minda Abadi in Senai, a registered tuition centre that offers lessons for students from Primary 1 to Form 5 and corporate training in Basic and Business English courses. At one time, 69 students from single-parent families were given tuition free-of-charge and in return, I only asked them to show me their good results. I adopted the motto: Teaching minds…touching hearts…transforming lives…, as I want to encourage students to study and aim for higher levels of achievement. For the past 5 years, I have been an English Lecturer with Open Universiti Malaysia and Wawasan Open Univerisiti, involved with students who are practicing teachers. I try to instill in them, the passion to encourage their own students to do well in school and I find great satisfaction when they pass their exams. I believe that when I teach one teacher well, he or she will be equipped to have a positive impact on their students who represent our future generation. Did you know that you can go to UK without a passport? 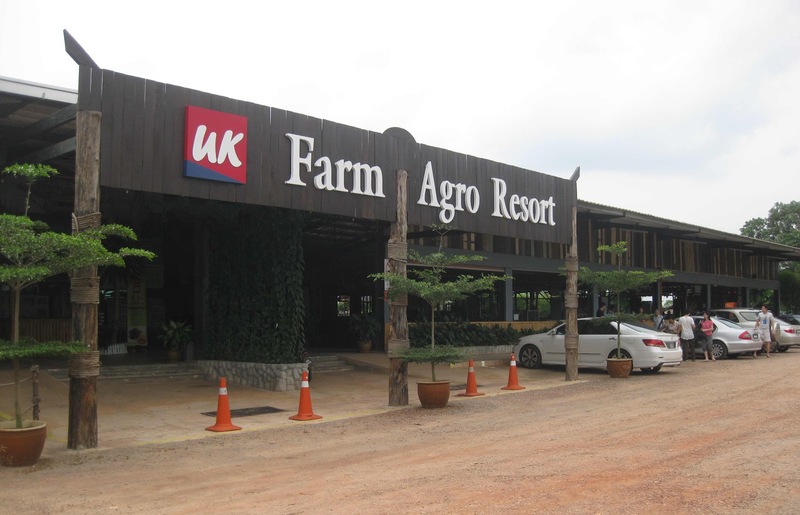 Yes, you can but only in Johor – more specifically, to the 100-acre UK Farm Agro Resort near Kluang. But why is this UK in Johor? 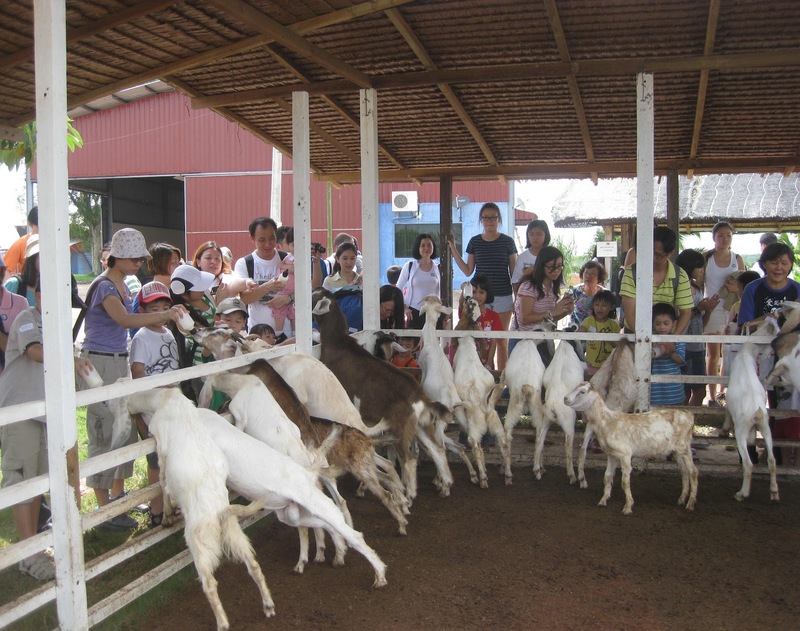 I later discovered that U and K are the initials of Goh Un Keng, the man behind the goat and sheep farm that also offers farm tours. 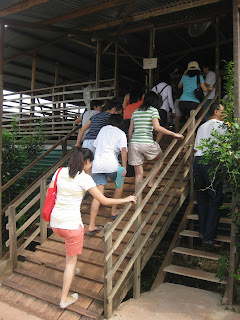 Aware that it is a popular holiday destination, my friends and I made prior reservations for an overnight stay and farm tour. 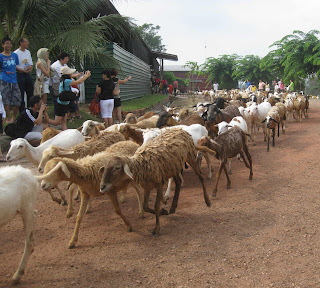 A short drive from Ayer Hitam towards Kluang took us pass fruit and vegetable farms and Ayer Hitam Animal Husbandry Centre, the Government dairy farm, before reaching the entrance into UK Farm. The guard stationed here gave a polite reminder for us to follow the signage for 6km along the laterite road to get to the resort reception. The bumpy ride along the stony and pot-holed laterite road not only rattled our bones but the slow ride also allowed us to enjoy the panoramic view of greenery and paddocks that bordered the road. The spacious parking area and wide lobby at the reception clearly caters to large groups and I saw staff members, equipped with electronic earphones and hailers, milling around to manage groups arriving or leaving for farm tours. By this time, we had collected our keys and car pass and following the directions to the chalets, we passed through another security gate to enter the farm. 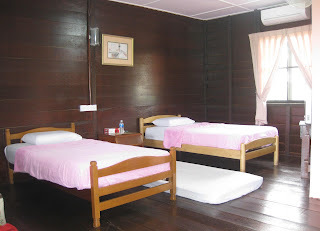 Two blocks of long-houses, divided into individual chalets for twin, triple-share and families or small groups, provide clean and comfortable accommodation. I particularly appreciate the common verandah that encouraged easy interaction among guests and we enjoyed sitting outside for chit-chat under the whirring fans. 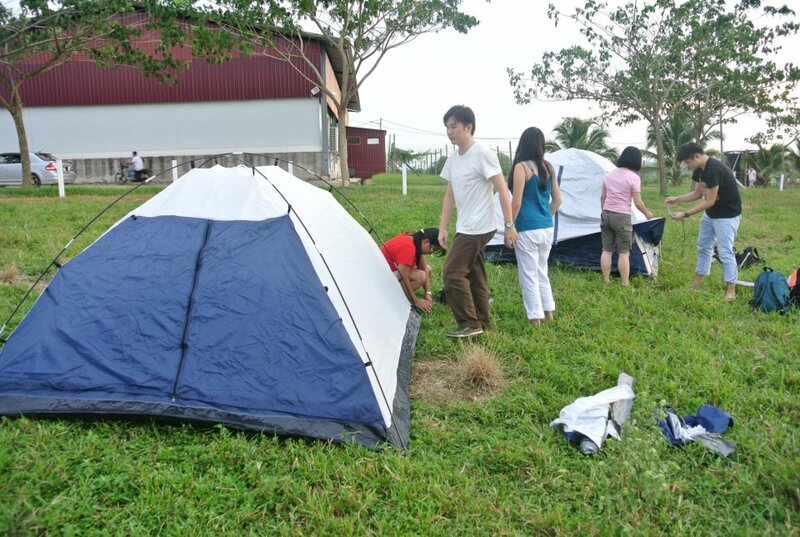 Just behind the block, a paddock with adjacent toilet facilities was the site for campers to pitch their tents for a more adventurous stay. The reception building houses a meeting room, dining area and a souvenir shop that stock among other things, farm produce like goat’s milk and passion fruit products. Near the dining area, chillers are filled with fresh and precooked lamb meals that can be warmed in microwave ovens and savoured there. Even with many groups, the resort appears to be quite efficiently organized with a schedule for the visitors’ meals and farm tours. 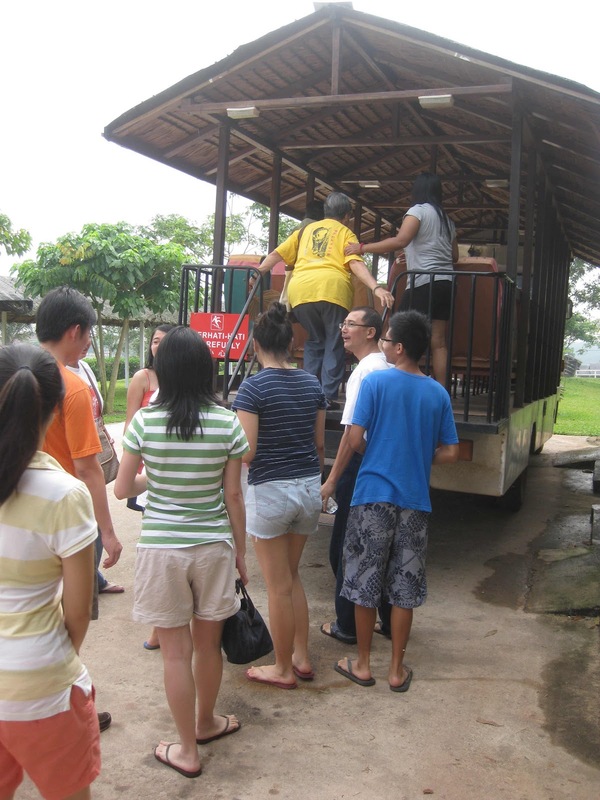 Identified by wearing coloured stickers, our group was ushered through a turnstile to board a mini-bus which is essentially a modified lorry furnished with recycled coach seats. A number of such bone-shaker buses are used in a hop-on-hop-off circuit to ferry groups to and from each visitor attraction like the goat’s pen, herb garden, ostrich yard, Jakun village and mushroom farm. Farm guides accompany the groups on board and at each attraction to provide visitor information but not every guide was multi-lingual so I was glad for friends who could interpret what the guide was saying in another language! I learnt that there are some 4,000 sheep of various local and foreign species on the farm and in 2010 the farm was developed with different resort attractions and opened for farm tours. This is a far cry from the 2-acre farm in Parit Yaani, where Goh first started breeding Jamnapari goats that were imported from Indonesia, for milk and meat and producing toiletries using goat’s milk in 2003. After obtaining Hazard Analysis and Critical Control Point (HACCP) certification for goat’s milk production in 2006 and halal certification in 2008, he ventured into sheep breeding on this 100-acre farm under the Kluang Modern Agriculture Project. After our guide took us into a barn where she introduced animal feed products, we were ushered outside to await the release of sheep into their grazing field. All eyes were riveted to the sheep pen as we waited patiently along with other groups, for the gates to be opened. Then it was sheer delight to suddenly see hundreds of sheep trotting down the path in a daily routine to the paddocks, quite oblivious to our cameras clicking away! In our visit into a sheep pen, we were encouraged to walk quite awkwardly, up a wooden plank footpath that was used by the sheep. 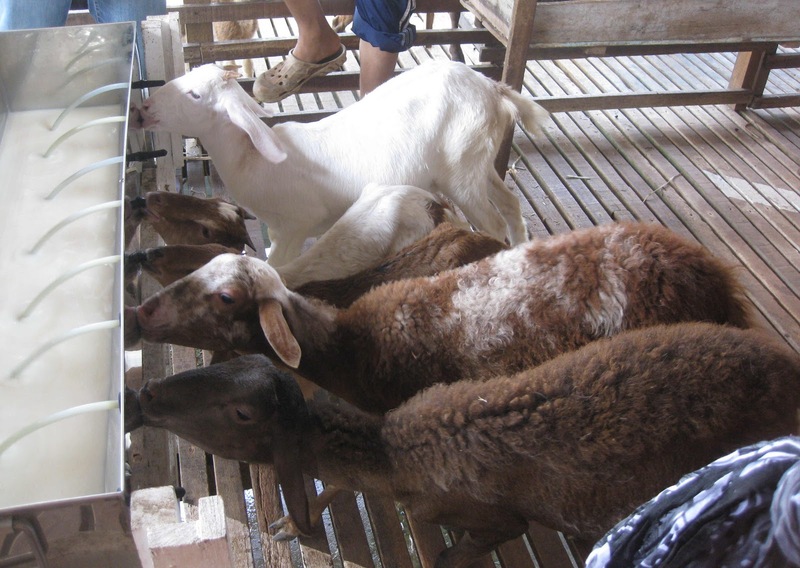 Visitors observed how lambs were trained to feed efficiently from a milk trough and another farm attraction let visitors bottle-feed lambs for a fee. There were many interesting attractions in the farm but one of the most memorable experiences must be the opportunity to cuddle cute little lambs! For your own UK Farm experience, take a drive on the scenic route from Johor Baru or via the North-South Highway and exit at Ayer Hitam toll and head towards Kluang. 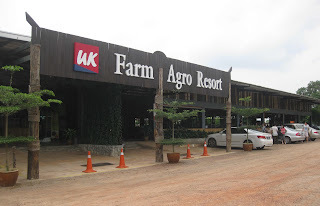 UK Farm Agro Resort is clearly signposted at KM 13, Jalan Batu Pahat. 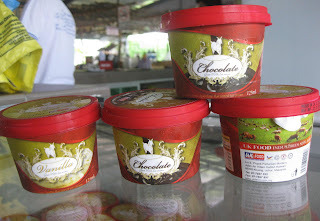 Visit website: http://www.ukfarm.com.my/ or Tel: 607 – 759 7555, Fax: 607 – 759 7991 for reservations. Visitors are welcome to cuddle the cute little lambs! Visitors can also bottle feed the hungry lambs! Thanks for writing about Tera-Thai. I know it was written a long time ago but I just read it moments ago. That house was once our family home. 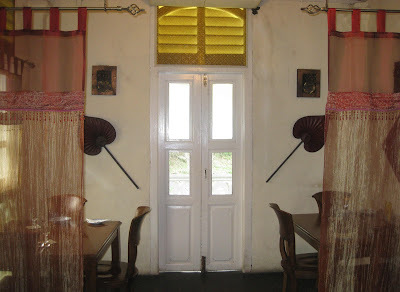 Having been in Tera-Thai so recently, I was pleasantly surprised to receive the above message from Andrew on 18 July 2012, telling me the building that houses Tera-Thai today, was once their family home! How exciting!? 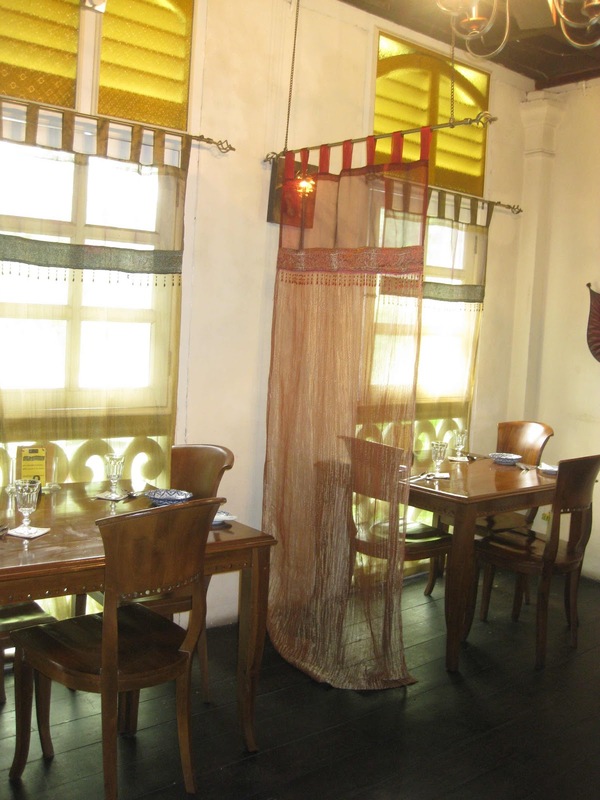 I got acquainted with Tera-Thai in January 2009 when it was newly opened as a Thai fine-dining restaurant. I understand that the owners, an entrepreneur couple – Thai husband and Malay wife – originally bought the property to live in. However, the architecture is so reminiscent of structures in his homeland that they decided to turn the property into a restaurant that specializes in Thai cuisine. Sorry I do not have any pictures of the old place. Guess photography was not that much of a big thing like what it is today...almost everyone has a digital camera...lol! During my childhood days, many of those living in the same area were very curious of one elderly Chinese man. He was seen wearing a typical black Chinese outfit and soft "kung fu" type shoes. I guess too that it was partly his long white beard that made him more noticeable. He was my grandfather - one of his sons was the owner of the Alec Bus Company. So the more curious it became for the locals as to why the bus would always wait for him whenever the driver saw him walking towards the bus-stand and never the other way round and he does not seem to pay the fare! It’s so good to see that article you wrote. It’s a pity that Andrew does not have any photos of their former home. But thanks very much Andrew, for sharing a little bit of history along Jalan Abdul Samad and your family heritage in Johor Baru with me. Your vivid description of how your grandfather looked in those days seems like a distinguished character out of a period Chinese movie! And the very name, Alec Bus Company certainly evokes lots of memories because I remember the buses were green in colour, in stark contrast to the red colour buses of South Johor Omnibus – the two bus companies that provided public transport in Johor Baru then. For several years my sisters and I were regular passengers on Alec bus No. 39 when we had to commute to school daily from Masai! Well, since my first visit to Tera-Thai, I have been back to the restaurant again and again – not only for food reviews but also to dine with friends and family members. To me, one of the most charming attractions about the restaurant is the building and I always seize the opportunity to take some photo mementoes of the place. I have collected a series of photos that I can now share with Andrew and his family who once lived there! These photos of your former home are dedicated to Andrew and family. I guess they should bring back a flood of fond memories of that time when you lived there! Enjoy! That photograph of our Form Four Arts class made me recall a lot of memories and kept a good grin on my face for many days. 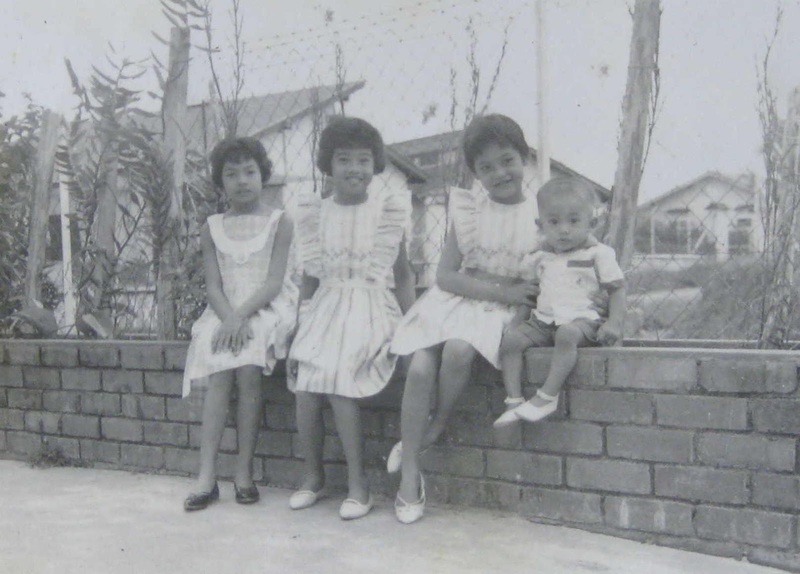 Even if it was just a class photo in black and white and nearly forty years ago, I was so proud I could share a little bit of glamour, appearing in the newspaper, with office colleague and a few of my siblings who also attended the HIJ Convent. 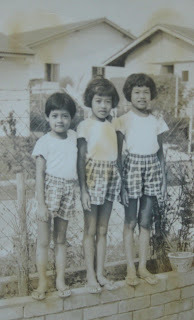 Why should it not evoke memories of my early days attending “Sekolah Orang Putih”? 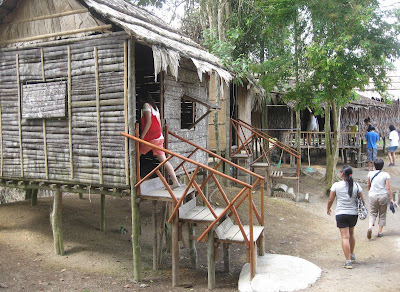 I still recall that it was not easy to attend an English missionary school in those days. Without any basic English whatsoever, I stepped into the school to mingle with other multi racial students on my first day of school in 1964. 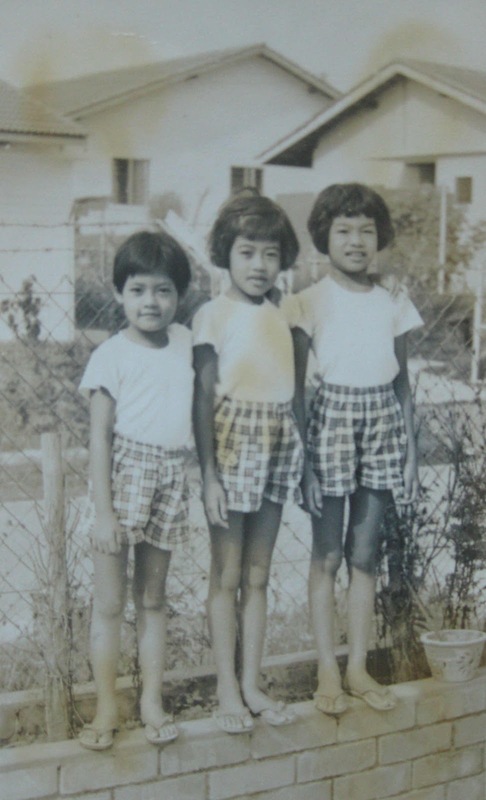 I recall there were just a few Malay girls in class. Among those I can still remember in that class photograph are Kausar, Mastura, Wan Jooria and a few more, quite a number of Indian friends namely the loud mouthed Jayashree Pillay, the soft spoken Geetha Achutan, Sinduja, Elizabeth Mathews and some Eurasians among us namely Audrey, Isabella, Daphne, and of course our dear sweet Peggy, just to name a few. As I recall, the first phrase that I had to learn and learn fast was ‘Excuse me teacher’ and ‘Please teacher may I go out’ because it was important for us to go to the loo… In spite of not being able to converse very well with friends because of the lack of verbal proficiency, we got along very well. Language was not a barrier. Even if the “chicken” had to talk with the “duck” it did not matter as long as we understood one another, that was good enough – no matter even if it was obviously broken English. Maybe some of the Indian and Eurasian friends are all very well-versed in their English (coming from English-speaking background and parents). Time just seemed to fly. From Standard One to Standard Two and finally to our Standard Six or was it at Standard Five where we had to sit for our Assessment Examinations …. I even got a distinction for English! I guess by that time English was no more a taboo subject because we were already well-versed, thanks to all our teachers! I remember during our primary school days, every class had a small cupboard which was filled with plenty of reading materials. I guess that must have been the reason why I had taken to reading. Mind you then all subjects were taught in English except for Bahasa Malaysia. Like it or not we just had to get on with it. Whether you understood English sparingly or sparsely or not at all, class had to go on. One of our Primary teachers who I can still remember very well is, of course, the graceful Miss Amy Wong who came to class in beautiful Victorian frocks. We got curious as to what made Miss Wong’s pretty skirts stiff and held its shape and did not get crumpled. Our guess was it must be the under-wire that was holding it nicely until she got off from school. Apologies Miss Wong, we were only 11 or 12 years old then, I guess it was a very curious and imaginative age! Soon we moved on to Secondary school. Thank God we were not hustled off to other schools and stayed in the same grounds with the secondary school just next door. We were then bigger girls going to higher levels of class. I think many of us still remained in the same classes from primary school to secondary school. Lessons got tougher and standards got higher, but nevertheless school was still enjoyable. How we loves those days! How we couldn’t wait for the holidays to end so that we could get back to school and be with our friends. There were so many stories to tell and gossips to share which happened during the holidays. Growing up as teenagers meant getting more involved with school activities as well as with social activities in life and for some of us, even getting involved with love or was it just puppy love? Hey… do you also remember that day when Frankie Cheah came to school? I can’t remember what he came for… wait… if I am not mistaken I think there was going to be a debate between our school and his school. We were all so excited, waiting with apprehension for a glimpse of that good-looking, singing teacher! Soon it was time to sit for more important exams, namely The Lower Certificate of Education. The exams were all conducted in English and by this time we were already proficient in our English. However hard the subjects may be, as long as we had a love for them, I guess that helped us to pass them. By then our reading standards were getting better. From simple Fairy Tales to Enid Blyton’s Secret Seven, we graduated to higher reading materials. How we loved Mills & Boon, Denise Robins and Agatha Chrisite books! I can recall with horror, the days when some of our books were confiscated by our teachers! It was not the loss of the book that mattered but the story that we were reading. Love indeed is a many splendoured thing! We were so green that our teachers thought the contents of the books were not suitable for us at that tender age. I recall on one occasion, I had to throw one of my love story books out through the windows so as to avoid being caught red-handed! Hey friends, soon it was our last year in school. Form Five - our eleventh year in school. How time seems to fly! Have we any regrets? It had been years filled with love among friends, love for our teachers, love for their guidance, love for the school and love for life itself. Vini vidi, vici, we came, we saw, we conquered. It was nice going down memory lane. I hope you enjoyed sharing the precious time we had during school days. I never thought I would be in Tambun again so soon. But I was back there again, this time for a very different reason. Early on Monday morning, I received a message from my sister that started with, “Don’t panic but I have sad news…” and I read on to learn about the sudden demise of her father-in-law. While I was deeply saddened by the news, it was a great comfort that my sister and her husband were in his hometown for the weekend and they were there with the family through those precious moments. I learnt that her father-in-law was admitted into hospital on Saturday night and his condition was stable on Sunday but he took a turn for the worse in the wee hours of Monday morning. Just two weeks ago, after my sister and I enjoyed a wonderful spa retreat at The Banjaran in Tambun, we stopped over in Kampar en route to Johor Baru, to visit her father-in-law. I will treasure fond memories of our time with him and how he was the first person to introduce me to my traditional title in the family, “Ah Yee” because that’s how my nephews respectfully address me. My nephew, who is also fond of food, refers to his grandfather as a “master chef” and I agree because my sister often brought back his home-cooked specialties for us to savour when they returned from visiting Kampar! My response to the sad news was to go to be with my sister and the bereaved family so I swiftly postponed my appointments so that I could pack and leave. 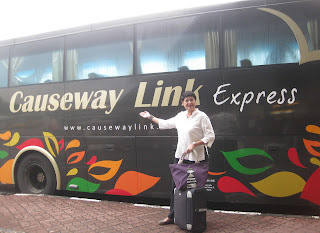 I was discouraged from driving so it was an adventure for me to experience the first leg of my journey to Kuala Lumpur by coach. I am familiar with journeys on chartered tour coaches but it was ages ago since I last traveled by public transport. 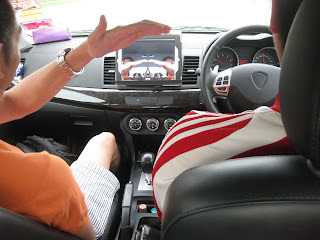 The plan was to travel to KL by coach to meet my brother and his wife and join them on the next sector to Kampar by car. For a start, I went to Larkin Sentral to buy a ticket and I had a strange encounter with a young lady ticketing staff for one of the many coach companies there. She was helpful in supplying answers to my queries and directed me to the coach company that provided the route that I required. As I was focused on acquiring my coach ticket to leave that afternoon, she caught me by surprise by asking me that million-dollar question – “You orang apa?” [What is your race?] I was in no mood to reply her blunt and personal question but I said, “Saya orang Malaysia.” [I’m Malaysian.] She was still adamant and went on to quiz and speculate about my “mixture” – so I gently stepped away with a polite wave of thanks! I finally got my ticket for a 3pm departure that should take me to Terminal Bersepadu Selatan [TBS] the spanking new south terminal in KL. The Causeway Link was an ideal choice because it is an express service with only one comfort stop. As the coach exited Larkin Sentral, I could already hear a symphony of snores from fellow passengers [one in front and two in the rear!] but I confess that I was very annoyed with the loud talking by two inconsiderate ladies – almost all the way to KL! I tried to tune them out but they were just too loud! Another passenger in front must have been annoyed too because she requested the driver to switch on the radio, probably in the hope of drowning out the loud ladies! The ride, however, was so steady that I could read quite comfortably and was glad when we arrived at TBS in good time. 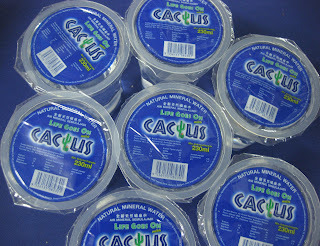 "Life goes on" tagline on Cactus "funeral water"
Following my brother’s instructions, I found my way to the adjacent terminal where I should board a train to our rendezvous at the Masjid Jamek station. Even though the signages were no so clear, I managed to go to the platform using my Touch n Go card. Unlike stations worldwide, I could not find a poster with the train routes here for me to ascertain which train I should take – or risk hopping onto the wrong train! By this time, trains were rumbling in and out on either side of the platform and to save time, I interrupted two girls’ conversation to ask and was glad when they directed me to the train that was about to leave! Bereavements are a sad time for family reunions but it was good to learn that our two nephews, who live abroad, were also making their way back for their grandfather’s funeral. It rained quite heavily on the two nights of the wake but the services on both nights were very well attended. The presence of many who came from near and far is a clear reflection of how well my sister’s father-in-law was appreciated in the community. Snacks were served after the wake services with mineral water for drinks. 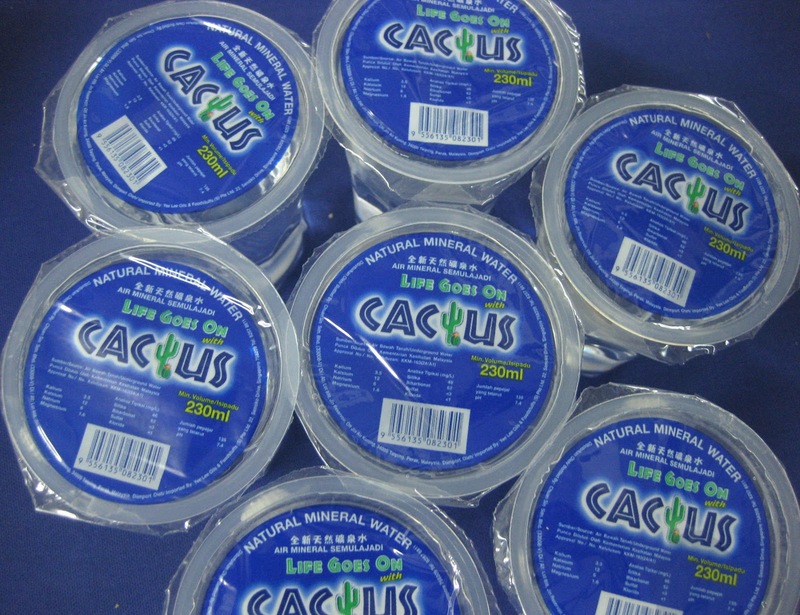 Since these cups of mineral water are usually supplied at funeral wakes, my nephew inadvertently dubbed it as, “funeral water.” Looking closer at the sealed tops of these cups, we were amused at the tagline, “Life goes on” with Cactus [the brand name]. This line seems ironical for what we call “funeral water” but I guess the makers of Cactus drinks are also Christians who understand the gift of life eternal through trusting in Jesus! Showing off the wonder of technology on Ipad screen! As the mist lifted from the nearby mountains, the morning of the funeral dawned bright and clear. The day started with a typically Kampar menu of local breakfast that included smooth chee cheong fun [rice noodles], chow-yuen [deep-fried meatballs made with a blend of pork and fish] and chunks of roast pork! The funeral service was both moving and meaningful and it was good to see the family standing together in solidarity as they bade their farewells. 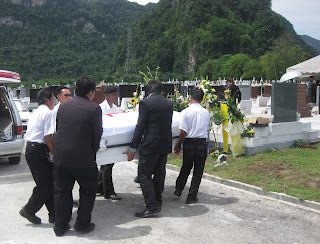 The journey to the cemetery in Tambun was very interesting as the family took a traditional walk behind the hearse through the entire main street in town! “Jesus said, I am the resurrection and the life: whosoever liveth and believeth in Me shall never die.” John 11: 25 & 26. As we each cherish our fond memories of him, I too said my farewell – Till we meet again. It was a little after 6pm on 7 July when the group that included members of the Rotary Club of Johor Baru (RCJB) who accompanied Dr Ghantan Palanisamy and his friends, rounded the corner from Jalan Abu Bakar to head towards Dataran Johor Baru. About an hour ago, they assembled at The Zon to join Dr Ghantan to walk the final sector of the grueling North to South trek that started at Bukit Kayu Hitam on 10 June. Dr Ghantan, a graduate from Manglore Medical University in India, was initially accompanied by his brother, P. Rajan, 23, a final year engineering student with Universiti Sains Malaysia. On the fourth day, Ravinder Singh, 24, an aerospace engineering graduate from University Sains Malaysia joined the brothers. After walking for 8 days, his brother left to sit for his final exams before rejoining the walk with him. 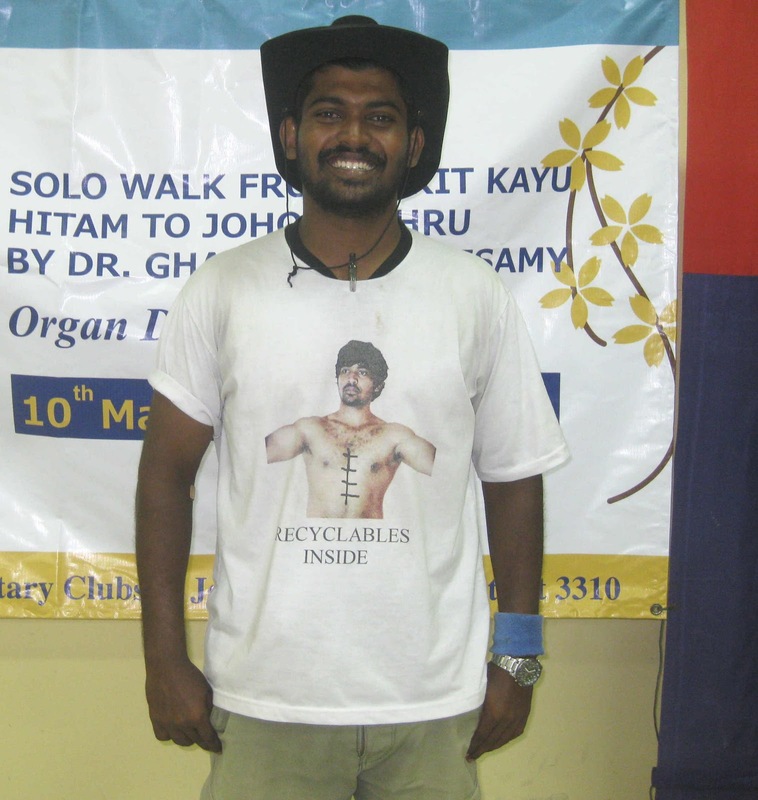 Wearing his signature cowboy hat and T-shirt emblazoned with his motto, “Recyclables Inside” Dr Ghantan, who went on the Solo Walk to promote awareness of organ donation, was upbeat about reaching the targeted 1,000 pledges for organ donation. 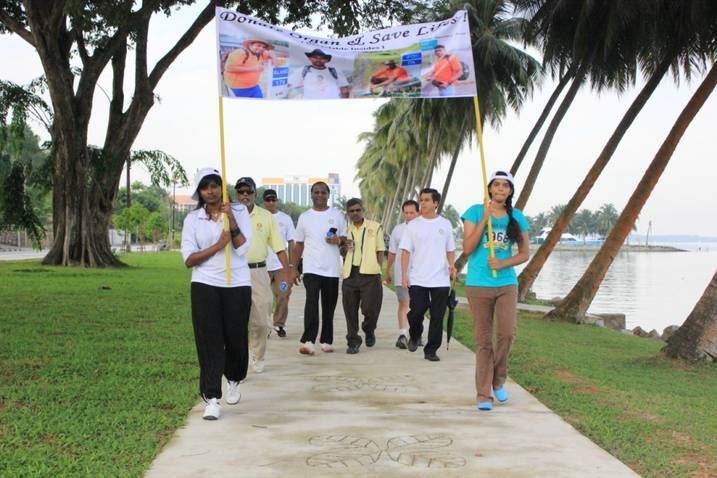 “The RCJB recognizes the effort put in by these youths,” said Dr S Sivamoorthy, Past President and Organizing Chairperson of the event, as he commended 26-year old Dr Ghantan and his companions for their commitment to go on the walk for a good cause. 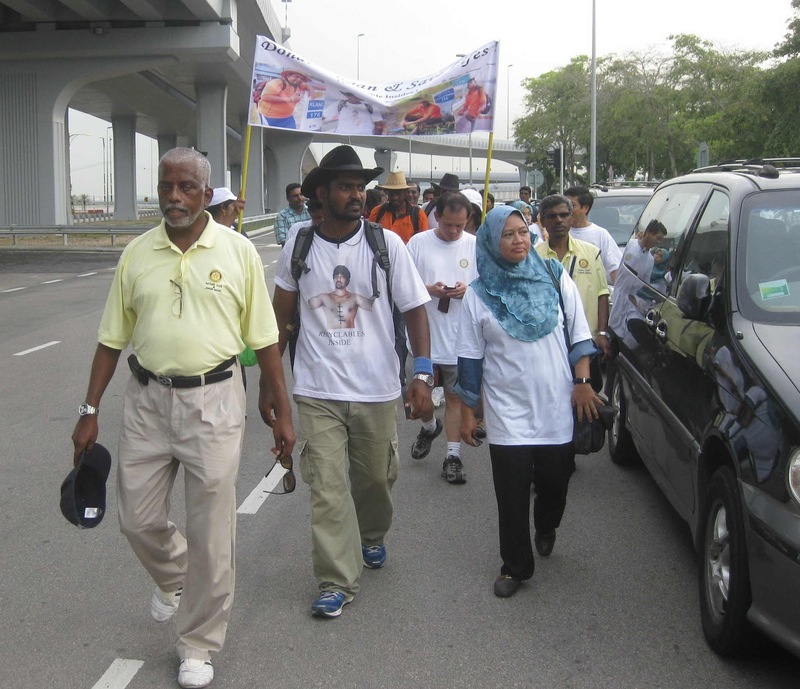 Members of the public, who read about the “Recyclables Inside” campaign, joined the walk for short stretches at various towns but Darun Nair joined Dr Ghantan to complete the trek to JB. Dr Ghatan and his companions walked almost 1,000 km across the peninsula, braving thunderstorms and extreme heat and slept in bus-stands along lonely roads when they were too tired to reach a hotel in the nearest town. Dr Ghantan, who is from Pantai Remis, Perak, first became aware of organ donation some 30 years ago when his father, Palanisamy Kaliappan, 62, a rubber tapper, showed them his organ donation pledge card. 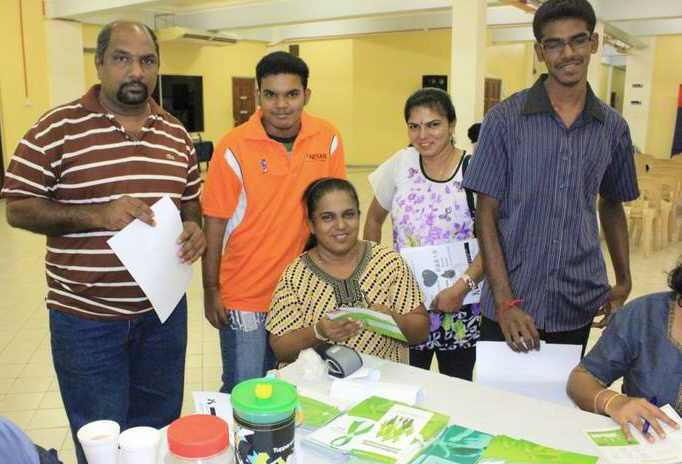 His mother, Suzila Tamohderam, 56, and his two siblings also registered as donors. In late 2007 when Dr Ghantan was a houseman in India, he had a patient who suffered a snake bite on his leg and had amputations stage-by-stage, beginning with his feet, then below the knee and finally, his entire leg because it could not be saved. Two days later, another patient who was from the same village, was admitted with severe head trauma and passed away due to kidney failure. “If only he had pledged to be a donor,” lamented Dr Ghantan. He felt it was such a waste because one deceased patient can give a new lease of life to 8 needy patients. 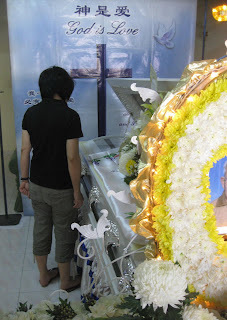 This incident made him a passionate advocate for organ donation and compelled him to seriously consider what he could do to raise more awareness for organ donation in Malaysia. “But I’m only one man – what can I do?” he asked himself. While waiting for his hospital posting in Malaysia, Dr Ghantan approached the National Transplant Resource Centre to seek advice and he received strong support from Datin Dr Lela Yasmin Mansor, the national head of the centre’s organ procurement team. There are 15,000 patients on the waiting list for organ transplants and to date, only 190,000 Malaysians are registered organ donors. Encouraged by the support from his family and the National Transplant Resource Centre, Dr Ghantan started his walk across the peninsula with a mission to raise awareness and collect at least 1,000 donor pledges. “Recyclables Inside” is Dr Ghantan’s motto because he believes that organs can be “recycled” and reused in those whose own organs have failed to function. So even if death marks the end of life, organ donors can choose to give life to the needy and live on in others. “Your pledge to be a donor will make a difference to those in need,” he added. 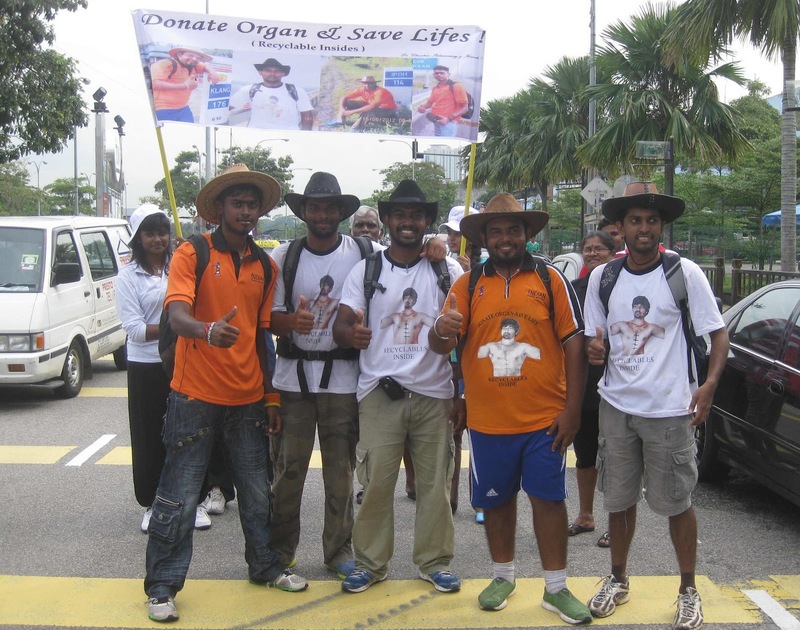 Dr Ghantan and his companions walked about 50km daily and stopped at public areas to campaign for organ donation. Organ donor pledge forms were distributed for people to register and completed forms were submitted at the nearest hospital. 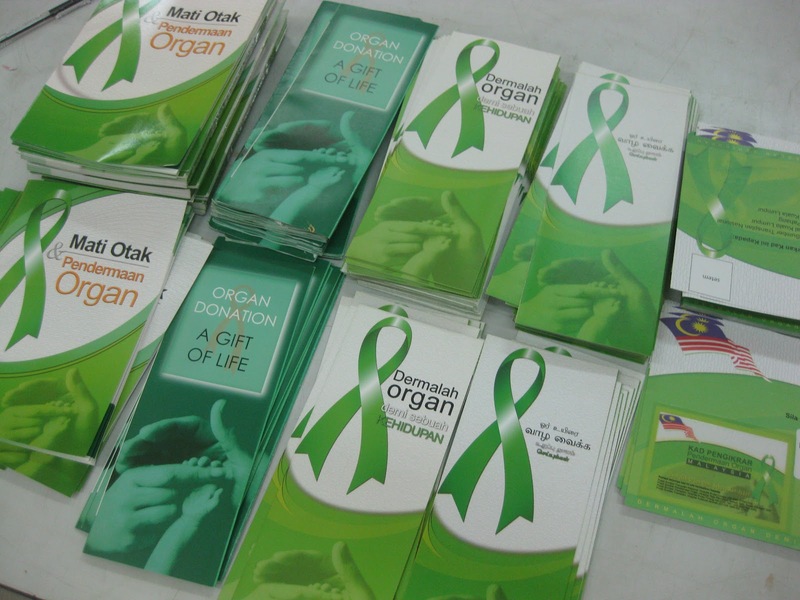 On their arrival in Johor Baru, they had 600 pledges and continued to campaign for organ donation pledges. “Ice-kacang never tasted so good,” laughed Dr Ghantan about the refreshing dessert they enjoyed on hot days during their walk. 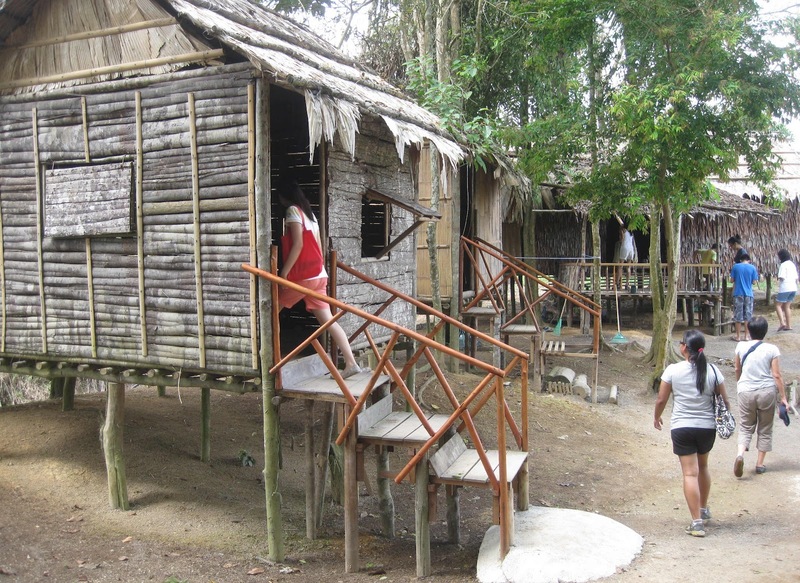 He said they suffered blistered feet and mosquito bites from sleeping outdoors but it was an eye-opening experience to the true spirit of 1Malaysia. Since they were not escorted by any car or outriders, they appreciated the kind hospitality and encouragement of strangers they met along their way. The walk was planned to be completed in 25 days but there was a two-day delay because Dr Ghantan was admitted into the Seremban Hospital for heat stroke and cellutis (a skin inflammation). In the final sector to Dataran Johor Baru, Dr Ghantam was further encouraged when his proud parents and 13-year old physically handicapped cousin, Saumyaasiay Vijayan, walked along with him. The group included RCJB members, Datin Dr Lela Yasmin Mansor and staff of the National Transplant Resource Centre. “He is an inspiration and an excellent example in the spirit of volunteerism,” said Mahaganapathy Dass, President of the 1Malaysia Indian Student Movement. When he read about the Solo Walk, the 1Malaysia Indian Student Movement showed their support by contributing RM10,000 that went mainly towards food and lodging expenses. “We are proud to be associated with Dr Ghantan,” he added. Registrations for organ donations can be made through the National Transplant Resource Centre (www.agiftoflife.gov.my) or the Malaysian Society of Transplantation (www.mst.org.my). 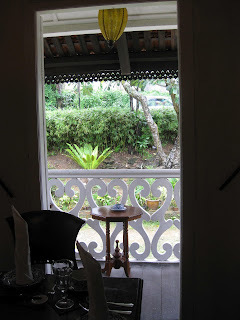 While working on Hotel Watch reviews, I have experienced many hotels and resorts both locally and abroad but some things just set The Banjaran apart. While every resort strives to provide the best in services and facilities, this is a resort with exemplary quality standards that they work hard to maintain. Recently I was at The Banjaran as my sister’s companion to relax and enjoy the stay– without an assignment in mind – and this made my discovery of such a unique destination much more delightful! 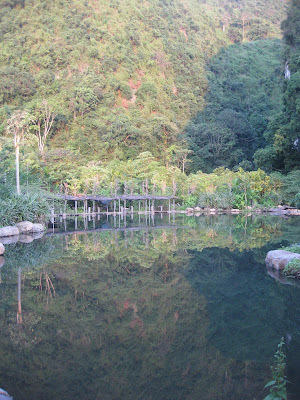 The award-winning Banjaran is not just a resort but a retreat for reconnecting with Nature, total relaxation and personal pampering. 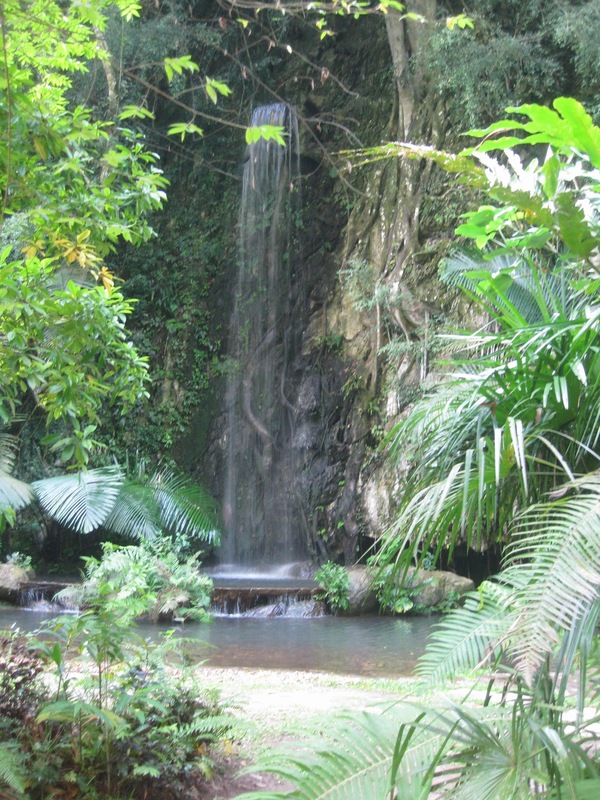 The spacious and well-appointed villas, professional spa services and trained staff working efficiently in this exotically beautiful property, sprawled across a landscape of tropical jungle, hot-springs, waterfalls and limestone caves – all work well together to give discerning guests an extraordinary and memorable experience. The balance of natural resources with modern amenities coupled with attention to detail in special touches gave us such a spectacular stay that it felt almost unreal! 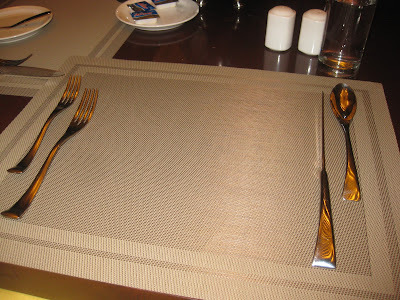 Placemat carefully laid out with cutlery placed equi-distance apart! Having a drink in Jeff's Cellar - a bar built inside a limestone cave! Friends of mine know that I often deliberately exaggerate how good a food or some thing is by labeling them, “Best in the world!” but even if this phrase aptly describes The Banjaran, I did not utter it – even to my sister who shares my sentiments about our stay. We are, in fact, still reliving the experience as we exchange photos taken on our cameras! Wash dusty feet here before entering villa! 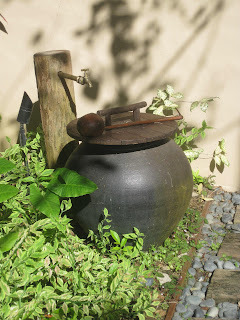 After our return to Johor Baru, I learnt that The Banjaran was recognized as the World’s Best Resort accorded by Fiabci Prix d’Excellence at a ceremony held in St Petersburg, Russia on 15 May 2012. Wow! How uncanny? This time there isn’t any exaggeration on my part because my sentiments are confirmed by this prestigious award! Reviewing our photos of the Banjaran is bringing back vivid recollections of one of the most carefree short breaks I’ve had in a long, long time. Its one thing to drool at photos but there’s nothing like being there for the experience. Now if there’s just one more thing [besides a much-needed new car!] 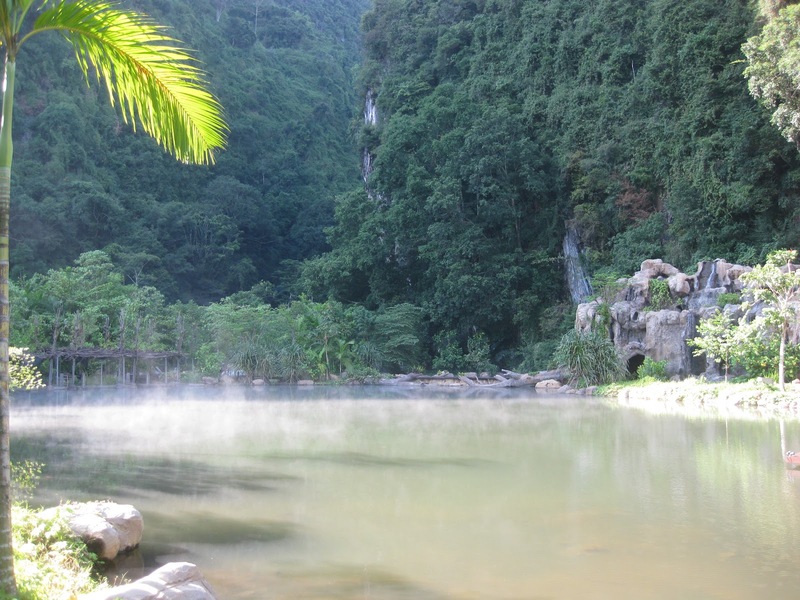 to add to my wish list, I know it’s another wonderful experience at the beautiful Banjaran!